Arbon Valley – The Best Place on Earth Arbon Valley has gone through changes over the past 100 years just like any town has. However, if you see an old photo of your great-grandpa standing on a street with his field behind him, chances are you could pick out that spot and it would look exactly the same today. This town is full of rich history as well as kind and honest people. “Have you ever been down to Arbon Valley ? I spend a lot of time there in my mind. Come ready to play in the snow. Bring sleds, tubes, and/or snowmobiles. Chili and hot cocoa will be provided. Each family please bring a finger food/dessert to share (something you can eat on the go with no plate)! 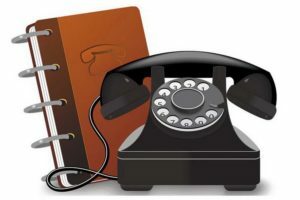 Last Call for any changes to the 2019 Arbon Phone Pages! Please contact Melinda Campbell before Saturday if you’d like to report any changes. Thank you! 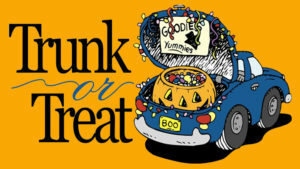 You are invited to the Arbon Halloween Trunk or Treat! 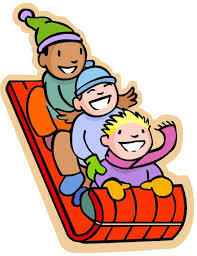 Why: Have Fun and Make Memories! Decorate your trunk and bring your own hot drink. Treating will begin promptly at 6:30pm at the sound of a bell! Costumes are optional but strongly encouraged! Please bring a large pot of your favorite soup/chili per family (and anything that might go with it. Ex. Crackers, cheese, corn chips, etc.)! Rolls and Dessert will be provided. The Board of Education will be accepting letters of interest to fill a board vacancy. The vacancy is for the Arbon Zone 3 (South end of the valley). Applicant’s materials will be considered at the scheduled board meeting on Tuesday September 11,2018. A Board of Education member must be, on the date of election or appointment, A United States Citizen, at least 18 years of age, a resident of Idaho and the district. The board member should have a background of knowledge or willing to learn the complexity of every area of school operation which may include finance, curriculum, awareness, and sensitivity. Please submit all applicant materials no later than Friday September 7, 2018 to the following person: Christie Evans, 4405 Arbon Valley Hwy, Arbon, Id 83212 or by email christie.evans@arbonvalley.com. Phone: 208.335.2197. The Arbon Elementary School District #383 is seeking to hire a Substitute Bus Driver. The position is for the Southend (Oneida County Line to the school). The salary is $35 per route with up to 3 routes in one day. The substitute bus driver position requires a Class B Commercial Drivers License (CDL). Employment contingent upon clearance of background check. EOE. Application and full job description can be obtained from the Arbon Elementary School or by calling (208) 335-2197. Also by email christie.evans@arbonvalley.com. Application may be dropped off at the Arbon School, sent to Arbon Elementary School #383, Christie Evans, Business Manager, 4405 Arbon Valley Highway, Arbon, ID 83212, or emailed. If you have any questions, you may contact any board members Jake Evans 208-335-2176 or Jason Williams 208-335-2259.